The Latin@s in Kid Lit Challenge has been a lot of fun and is focused around reading children’s and young adult lit written by Latin@s or starring Latin@s. I’ve read many picture books (since I am an elementary school librarian), but the YA books I have read and enjoyed are Saving Baby Doe by Danette Vigilante (coming March 20th), The Lord of Opium by Nancy Farmer, and Death, Dickinson and the Demented Life of Frenchie Garcia by Jenny Torres Sanchez (which Jessica reviewed last year). The Diversity on the Shelf Challenge is great because the books from the Latin@s in Kids Lit Challenge also count in addition to anything that I would review here on Rich in Color. This challenge is to read books that are written by an author of color or have a main character that is a person of color. My favorites from this challenge were The Shadow Hero by Gene Luen Yang (available digitally in installments over the next several months and in hardcopy in July), Inheritance by Malinda Lo (reviewed by K. Imani last year), Romeo and Juliet adapted by Gareth Hinds, and Open Mic: Riffs on Life Between Cultures in Ten Voices edited by Mitali Perkins. 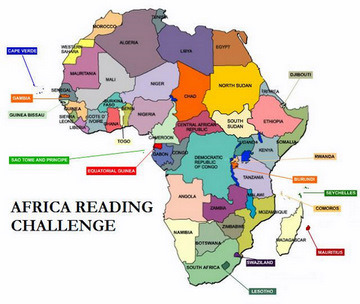 The Africa Reading Challenge is the new one that I was reminded of during the CCBC-Net discussion. I’m excited to get started on this one. It’s focus is concentrating on literature by African authors or taking place in Africa. The host, Kinna, encourages readers to try reading from a variety of countries. After reading Jessica’s review of Akata Witch by Nnedi Okorafor, I knew I wanted to read it so I bought it recently. It’s fantastic so far. As with the other two challenges, the host provides resources and suggestions so I won’t have a shortage of titles to choose from once I finish Akata Witch. I am loving the exposure to many titles through the lists, but also through the reviews of the participants. There are still ten months left in the year, so it is not too late to get started. You don’t need to have a blog either. You can create a list in Goodreads or find some other creative way to keep track on your own just so long as you are reading and venturing out into new territory. 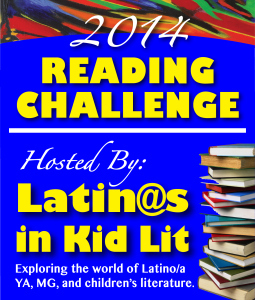 Do you know of any other diverse lit challenges? Are you participating in one or more? 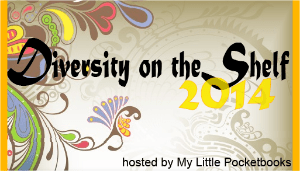 Let us know and have a great time exploring diverse lit this year. Posted in Essays, Miscellaneouscomment2 Comments on Are You Up For a Challenge? I belong to that listserv and the The Birthday Pary Pledge is another way to celebrate diversity in literature. Yes! That’s another great way to celebrate. Thanks for the link.